The show must go on! The most sensational, inspirational, Muppet-tational Minimates line ever is back. 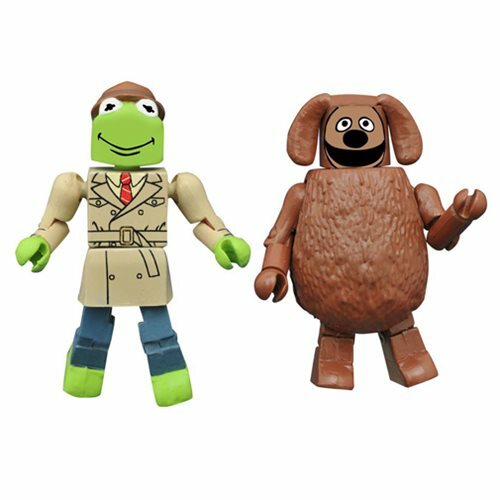 The Reporter Kermit with Rowlf Minimates Series 2 2-pack includes 2-inch Minimates mini-figures that are fully poseable and fully interchangeable with other Minimates! A must-have for fans of the modern hit TV show or the old classic! The two-pack is packaged on a full-color blister card. Ages 8 and up.